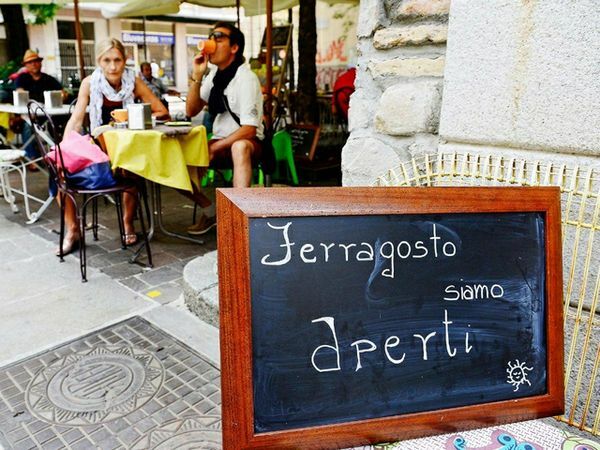 Then tourists have to know that we have a national holiday called Ferragosto, which is celebrated on August 15th. This traditional day dates back to the time of Emperor Augustus, and it used to run from August 15th to September 1st. That’s when most of the Italian families tend to take their holidays, almost at the end of summer, just before the beginning of the lessons at school. Particularly, on the 15th, many of the smaller stores are closed. Tourists need to be prepared to be flexible, since their plans could change at the end. That’s because establishments, museums, shops, and so on can be closed and we don’t have a fixed time for vacation: some places can close for just one week, while other can re-open only after 1 month. If there is a particular restaurant tourists want to try because they read some good reviews on the internet, in order to be sure they can eat there and it’s not all booked, they should ask to the receptionist at the hotel to call that place and make sure it’s actually open. Likewise for small shops you’ve been wanting to try.